Indira Gandhi National Open University is offering the perfect environment for distance learning for all the students in the country. They offer lots of courses and programs that you can choose to complete diploma, Bachelor’s Degree or master’s degree with distance learning. Now, the transgenders can also apply for the admissions in this university. 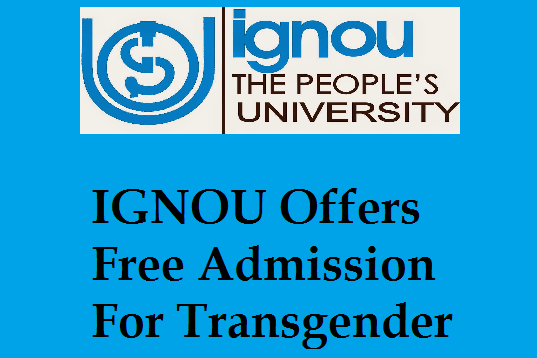 Recently, IGNOU University announced free admission for all the transgenders in the country. According to Vice Chancellor, professional Ravinder Kumar, now, transgenders will be able to apply for the admissions in any of the programs according to their qualifications and all the education will be free for transgender students. As per the judgment on April 2014, the third gender was created by Supreme Court for transgenders in the country. In the country, transgenders are socially as well as educationally backward class and the government are providing reservation in the admissions as well as education and jobs to the transgender students. Here is great news for all the transgender students who are looking for good facilities of education. Indira Gandhi National Open University is going to provide free facilities for higher education to all the transgender students in the country. As the largest University to provide distance learning facilities, they are going to take this next step to attract all the transgender students of the country to get the higher education in different courses of Bachelors, Masters and diploma programs. As one of the leading universities in the country, they are working to make the education facilities better for transgender students. They have started working to make the education and success path easier for transgender students across the country. With the initiative of the Indian Government to give the voting right to bring the Indian Kinnar community to the mainstream of society, now, necessary efforts have also been made to educate them by Indira Gandhi National Open University. According to the statement of vice chancellor of IGNOU University, now the transgender students will be able to choose any of the courses according to their qualifications and interest to get the free admission in the university. Now, the members of Kinner community will be able to visit any of the branches of IGNOU University in the country to apply for the admissions. 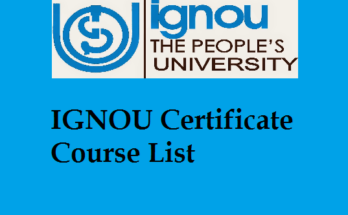 To get the admissions in IGNOU University, the students will need to get the medical certificate issued by state and Central Government or competent medical officer. Medical certificate, they will also require Aadhar card for the admission process. They will also need the additional documents related to their previous academic achievements as per the terms and conditions of University. 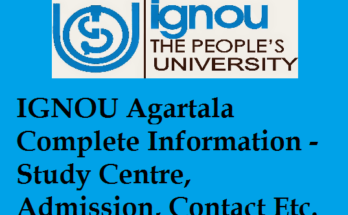 If you want to get complete information regarding all the documents required for admission in IGNOU University for transgender students, the complete information is available at the official website link of IGNOU University where all the applicants can visit to get all such information. With this new start by IGNOU University in the country, the transgender community will not only get an education but they will get better acceptance by the society in the country. The children of this community in India will be able to join mainstream society and will be able to live a better lifestyle by getting the improvements of mental as well as academic level. For the admission in IGNOU University, all transgender students will need to get complete details on its procedure. To get any kind of help for information regarding the procedure, the students can contact the nearest regional office of Indira Gandhi National Open University. It is possible to visit or contact the regional offices by getting complete contact information online. The complete details on admission procedure are also available online where you can visit at the official website link. We are here to help all the students who are searching for such kind of information regarding the admission in IGNOU University for transgenders. 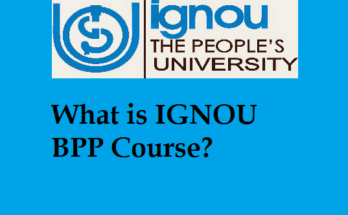 It is possible for all the students to know about eligibility criteria, all the details about admission by visiting the official website link of IGNOU University at http://www.ignou.ac.in.